We’re only days away from Huawei announcing its new Mate 20 phones at an event in London, which we’ll cover. 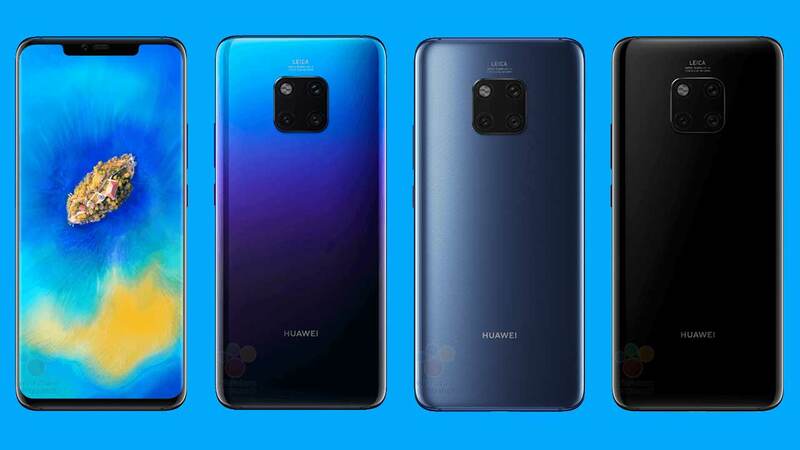 The world’s second largest smartphone vendor after Samsung is expected to show off the Huawei Mate 20, Mate 20 Pro, and the gaming-focused Mate 20X in their entirety. Expectations are sky high that there will be plenty of headline news when all is said and done in the U.K. capital. And what with Huawei not-so-subtly trolling Apple on the eve of the iPhone XS and iPhone XS Max release. We’re honestly expecting it to be an exciting affair for Huawei. Having said that, here are five things we’re most looking forward to at the Mate 20 event. It’s been revealed, to no one’s surprise, that the Huawei-made Kirin 980 will power the Mate 20 devices. The next-generation chip is said to add more power and efficiency to Huawei’s flagship silicon, with promises of massive performance gains across the board compared to the Kirin 970 in Huawei’s Mate 10 and P20 handsets. For most people, the Kirin 980 will mean smoother experiences, faster loading times, and longer battery life. The processor will incorporate new CPU and GPU products into a 7-nanometer process, similar to the Apple A12 Bionic in the latest iPhones. Add to that, the Kirin 980 is touted to be the first to get two neural processing units or NPUs, which move artificial-intelligence processing out of the cloud and into the phone itself for tasks such as image recognition and enhancement. Huawei says the Kirin 980 will run up to 20 percent faster while being up to 40 percent more power efficient than its predecessor. We’re excited to find out if it’s actually as good as the company, or the Antutu Benchmark numbers, would have you believe. For serious mobile gamers who expect the best in gaming performance, the latest deca-core Mali-G76 GPU in the Kirin 980 has been tipped to provide crisp visuals and more stable frame rates in heavy games like NBA 2K18 and PUBG Mobile. Huawei has even showed off how well the Kirin 980 can handle NBA 2K18 at maximum graphics settings, with the game consistently hitting 60 frames per second in its own testing. The Mate 20 series may also introduce the company’s first gaming phone in the Huawei Mate 20X. Little is known about the device even at this point, other than the fact that it will use Kirin 980. It may include better thermal solutions to keep the processor from throttling itself down during long gaming sessions. And there’s a chance it could arrive with the highest screen size and battery capacity in the Mate 20 lineup. The series will also likely launch with the proprietary GPU Turbo 2.0 feature, which adds support for more graphics-intensive games, including Vainglory, Arena of Valor, Rules of Survival, and NBA 2K18. Huawei says the update will deliver smoother overall gameplay by reducing touch-input latency by an average of 36 percent while improving frame-rate performance and decreasing power consumption per frame. Despite launching earlier this year, the Huawei P20 Pro still has the top smartphone camera system according to DxOMark, an independent camera-testing website. However, there’s a good chance the crown may be passed on soon, as the Mate 20 phones are expected to outperform the P20 Pro in imaging hardware and software. They’re rumored to have a 40-megapixel, f/1.8 main camera that combines four pixels into one for superior image quality. 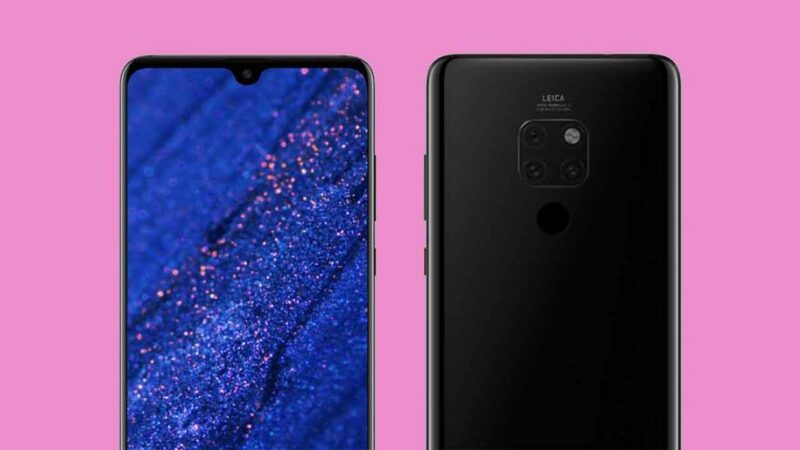 There’s also supposed to be a 20-megapixel, f/2.4 telephoto camera on the back, as well as an 8-megapixel one with ultra-wide lens for up to 5x optical or lossless zoom and macro shots from as close as 2.5 centimeters. The dual NPUs, on the other hand, will optimize the camera settings for whatever you’re shooting. On the software side, Huawei may introduce new shooting modes that let you shoot video underwater (with the help of a special case perhaps) and footage with adjustable background blur. This should sound especially appealing to content creators. Presumably, the Mate 20, Mate 20 Pro, and Mate 20X will all run Huawei’s new EMUI 9.0 software that’s built around Android 9.0 Pie. It’s rare to see a device ship with the new platform, and even rarer still, to see one outside of Google’s Pixel family. According to Huawei, EMUI 9.0 will focus on a simplified navigation experience and has cut down the number of menu options in it by about a hundred. EMUI 9.0 promises more stable system operation and faster app-loading times, too. There’s also a new software feature that enables the camera app to recognize famous landmarks and various paintings while feeding you contextual information pulled from the cloud. Finally, there’s the hardware. Based on leaked renders, live images, and videos, the Huawei Mate 20 devices will sport a new design, front and back. We’re hearing they’re also IP68-rated for protection against water exposure at up to 6 feet in depth. Is this the Huawei Mate 20 Pro with triple rear cameras and an in-screen fingerprint sensor? Huawei has teased a square-ish, triple-sensor camera module for its upcoming flagship series, which looks cleaner than the P20 Pro’s vertical stack of lenses. On the front, the phones are claimed to include notched screens, though the Huawei Mate 20 Pro could potentially have a bigger notch to accommodate its advanced facial-recognition system. It has been tipped to integrate a fingerprint scanner into its curved OLED display as well. What are you excited to see from Huawei’s Mate 20 event? Sound off in the comments, and be sure to check back for our coverage on the ground in London.